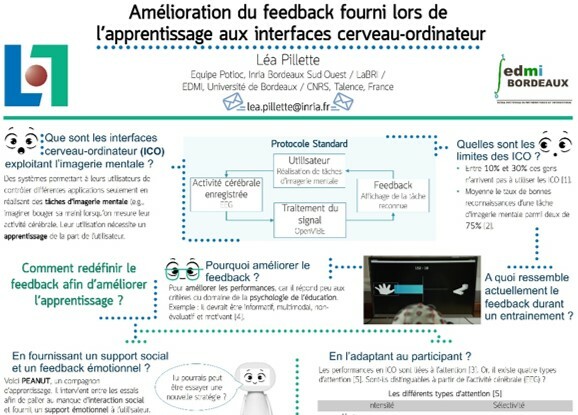 After doing my last internship in team Potioc at Inria Bordeaux Sud-Ouest I obtained my master degree from Ecole Nationale Supérieure de Cognitique. Fabien Lotte and Bernard N’Kaoua then offered me to pursue my studies and do a doctorate that they are currently supervising. 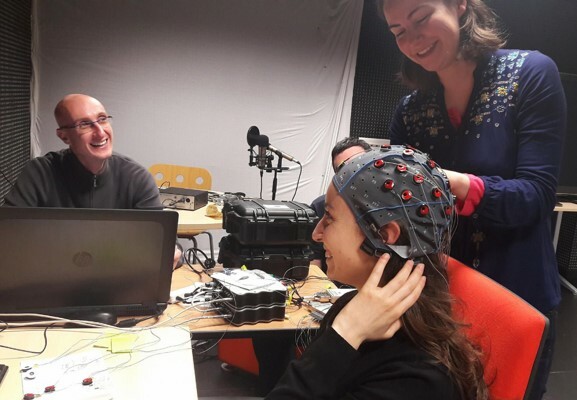 My PhD focuses on Brain-Computer Interfaces (BCI) user training. 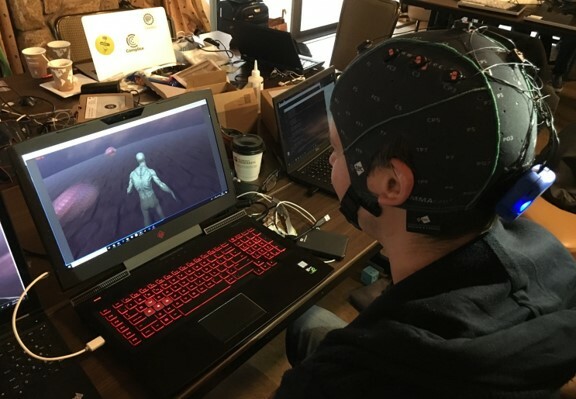 BCI are neurotechnologies enabling their users to command external applications by using their brain activity alone. In my research, I mostly focus on BCI controlled using mental imagery tasks (MI-BCI) such as imagining hands movements or mental rotations. 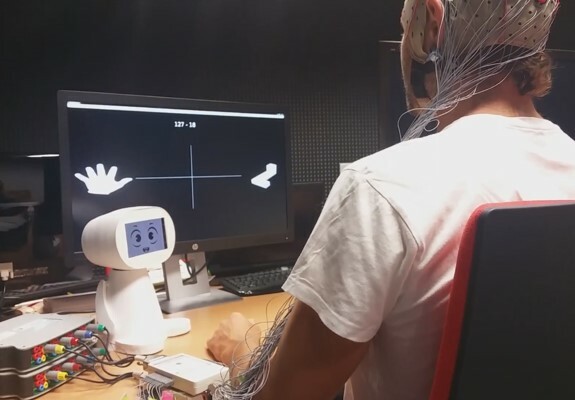 Those types of BCI require a training from the user to be able to create stable and recognizable brain patterns which can be recognized by the system. However, literature and experimental results suggest that current MI-BCI training protocols are inappropriate to acquire this skill. Therefore my PhD aims at exploring several research lines to improve the feedback which is provided to users when they train. For example, I tried adding a social presence and emotional support, by using a learning companion that motivates the user during the training. All of the different projects that I am working on are below in the carrousel. Could learning companions improve BCI training? 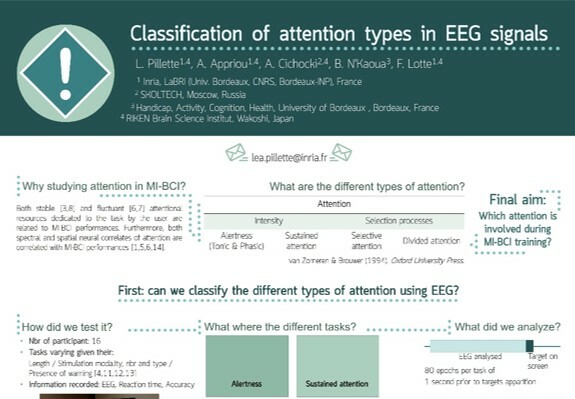 Which type of attention is involved during BCI training? Do experimenters influence their results? 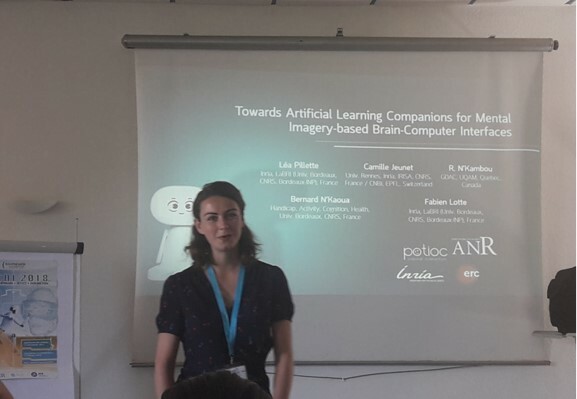 I presented my work on the potential benefits learning companions could offer to MI-BCI training at WACAI 2018. Read the review paper. Participated to the International BCI Meeting in Asilomar where I presented a poster on differentiating attention types using electroencephalographic data. Read the poster. My team and I designed a video game where the player controls a zombie that have to eat brains and won the first price at the BrainIO BCI Hackathon. Watch the video and the description of all the projects. 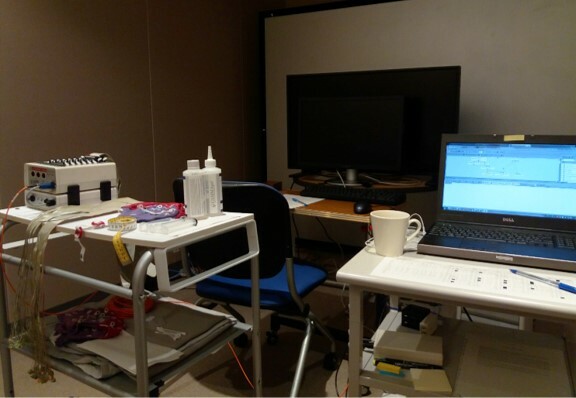 The Young Researchers in Interfaces Brain Computer and Neurofeedback conference gave me the chance to present the results from the experiments I made at the RIKEN institut near Tokyo in Japan. Presented some work from my PhD in a poster at EDMI doctoral school day. Read the poster OR Read the article written for the newsletter of Bordeaux's laboratory of research in Computer Science - LaBRI (Written in french).